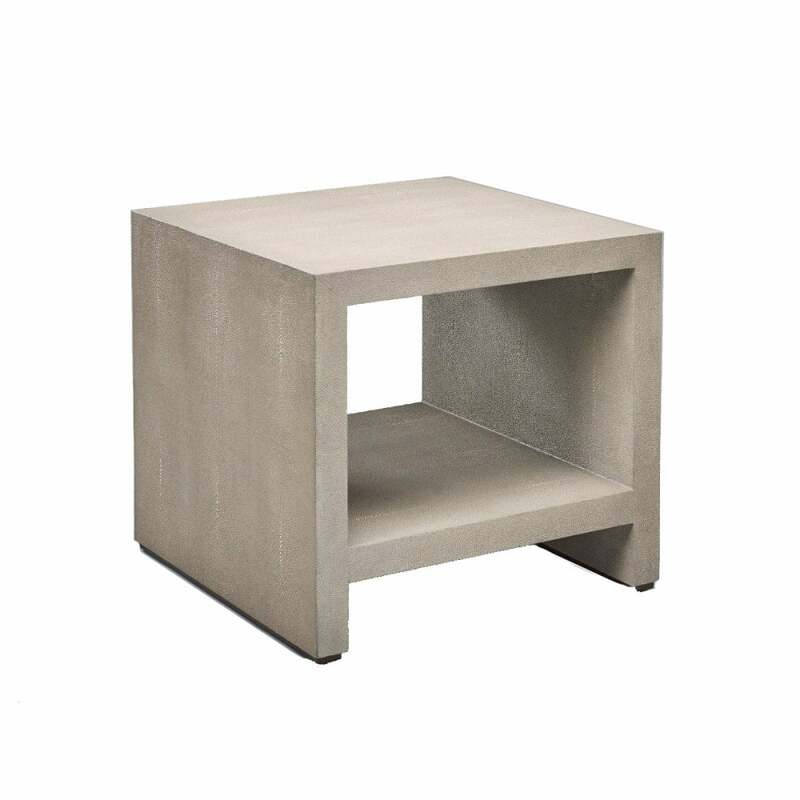 The Aspen Side Table by Robert Langford epitomises their elegant style and premium quality. Part of the new Shagreen range, this luxurious side table is available in two contemporary colourways. Choose from chalk faux Shagreen with bronze detail or a moody dove finish. Featuring a lined shelf and on-trend surface texture, use as a bedside table to display books, beauty products and decorative accessories. Style with soft greys, blush pink and mink for a luxe look. Or pair with neutral tones of beige, white and brushed metallics for a classic scheme.